How Can I Get an Immigration Bond? Immigration bonds are federal bonds used for detainees being held by Immigration and Customs Enforcement (ICE). Much like bail bonds, immigration bonds exist to guarantee a defendant’s appearance at court proceedings. If you’re planning on posting bail in Upper Marlboro for an immigration detainee, then it’s important to know that the only options for release are cash bonds posted through ICE and surety bonds posted through a licensed bail bondsman. First, the immigration detainee must be eligible for an immigration bond, and it’s ideal to consult a lawyer in this regard. Then, if the person meets all eligibility criteria, the immigration judge and ICE must decide to offer an immigration bond. If there is no bond or if the amount is too high, then consider having your attorney request a reasonable bond amount from ICE. If this request is not granted, then you can ask to have a bond hearing with an immigration judge. To pay for your immigration bond, you can hire the services of a bail bondsman or pay the full amount directly to ICE. A bail hearing occurs shortly after arrest. Before you can make arrangements for a bail bond in Baltimore, the hearing must happen. The process can be confusing and intimidating if you don’t know what to expect. Here are the facts you need to know. The way bail is set varies. In some cases, there is a set bail schedule that determines exactly how much bail will be, based on the charges. In these instances, bail can be set almost immediately by a magistrate or other court officer without a formal hearing. When there is not a schedule, then bail will be determined in the course of a hearing in front of a judge, or in some cases, a magistrate. Typically, in a hearing such as this, the court official has a large degree of latitude when deciding how to set bail. Once bail is set, you can contact a bail bond agent to start making arrangements to pay the required amount. Many different factors go into determining bail. 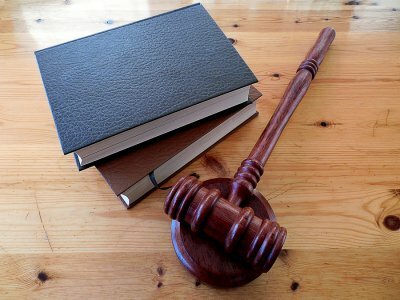 When there is not a bail schedule, the court will consider several different facts when determining an appropriate bail amount. These factors include the nature of the charges, the criminal record of the defendant, and the likelihood that the defendant will show up to court dates if released on bail. In some cases, charges are determined to be so serious that the court decides not to offer bail at all. In other instances, the court may decide that bail is not necessary and that the defendant can leave on his or her own recognizance. Lawyers are not required but can be helpful. Defendants are not required to have a lawyer for bail hearings, but having one can help, especially for serious charges. Lawyers can argue for the lowest bail amount possible and help with bail appeals if necessary. Because lawyers are familiar with the workings of the court, they can also offer much-needed advice to the defendant and his or her loved ones about navigating the bail process and arranging for a bail bond. Many people who are posting bail in Upper Marlboro are doing so for the first time and don’t really know how bail bonds work . They are confronted with many different terms that they’ve never encountered before, which can add to the stress of the circumstances. Fortunately, it is easy to understand how bail works when you familiarize yourself with some of the language around it. Your bail bond agent will be happy to answer your questions about the process. These terms will help you understand more about posting bail. Bail is a financial security paid to the courts to ensure that an accused person will return for trial dates if they are released from jail. The financial security can be seized by the court if the person doesn’t show up for a court date. 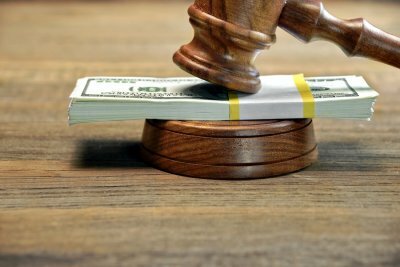 Bail is supposed to be significant enough to be an incentive to comply with court dates but not so high that it is punitive and impossible for a person to post. Bail exists to give people their freedom while their cases are being adjudicated and to allow them to assist in preparing their own defenses. Many people confuse bail and bond. A bond is a way of posting bail. Bonds are supplied by bail bond agents, who have relationships with the courts that let them provide a promise of payment of the full bail amount if a person does not show up for court dates. 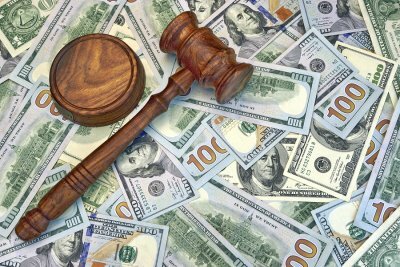 Using a bond means it is possible for a person to get out of jail pending trial without having to put up the full cash bail amount. In exchange, bond companies charge their clients a percentage of the bail amount for their services. Bonds are also sometimes called surety bonds. The indemnitor is the person who makes the agreement with the bail bond agent to get the defendant out of jail. Becoming an indemnitor is a serious responsibility, because it means that you are responsible for the full amount of the bail if the person you bailed out doesn’t show up for a court date. You may also have to pay other fees if it becomes necessary for the bail bond agent to hire someone to track the defendant down. After a loved one is charged with a criminal offense, families often begin to wonder how bail bonds work. Since regulations and protocols can vary from one jurisdiction to the next, it’s best to speak with a bail bond agent in Upper Marlboro. Your bail bond agent will be able to answer any questions you may have and help you understand what happens next in the process. For example, one common question families have is whether their loved one could be released without paying anything at all. You can find out the answer to this question and others by watching this featured video. 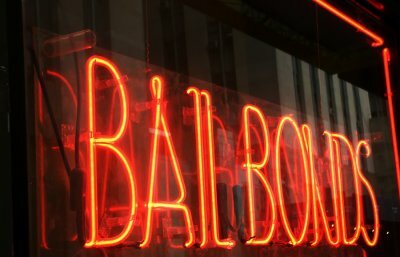 This bail bonds expert discusses what might happen if a defendant is out on bond in one county and then is arrested for a different offense in another county. When an individual is arrested by the police, he is booked into jail. Posting bail allows for his release from jail on the condition that he will appear in court when called, rather than requiring him to remain in jail until a trial date has been determined. The amount of an individual’s jail bail in Upper Marlboro may be affected by many different factors, including the type of charges he is facing and his criminal record. Below you’ll get a closer look at these factors and the outcome they may warrant when it comes to your bail. Jails maintain a bail schedule that outlines the amount of bail appropriate for various crimes. These amounts are based on state and federal laws and guidelines, as well as the individual jail’s own regulations and operating procedure. Certain charges are considered more severe than others, and thus require a higher amount of bail to release an individual from jail. For example, an individual arrested for driving under the influence of drugs and alcohol may have a more difficult time posting bail than an individual arrested for minor property damage. Judges often take into account factors such as an individual’s past criminal record and employment history when determining bail. Individuals with no past criminal record often garner lower bail amounts than repeat offenders, even for more minor crimes. Even if an individual was found not guilty in the past, a record of failing to show up for court or other such actions could also raise the amount of jail bail required for release. Alternatively, an individual who is currently employed and has a positive community standing may be granted a lower bail amount due to these factors. Bail bonds allow you to post bail without paying the full amount upfront. Working with a bail bondsman serving Upper Marlboro is the fastest, most discreet way of posting bail for a friend or loved one. How Do Immigration Bail Bonds Work? When a person is suspected of being an undocumented immigrant, he or she can be arrested and taken into the custody of the Immigration and Customs Enforcement (ICE) agency. At this point, a deportation officer will decide whether to allow the individual to obtain a bail bond , perhaps with the help of a bail bond company located in Virginia. Immigration bail bonds work in much the same way as regular bail bonds issued to U.S. citizens who have been arrested and charged with a crime. They allow an allegedly undocumented immigrant to be released from the detention center pending the outcome of the case. There are two basic types of immigration bonds. Voluntary departure bonds are granted when an undocumented immigrant agrees to leave the country at his or her own expense. The individual must depart the country within the specified time period. A voluntary departure bond may be granted before removal proceedings have been completed or sometimes before they even begin. The second type of immigration bond is a delivery bond. It is similar to a regular bail bond in that it allows the detainee to be temporarily released with the condition that he or she return for all mandated appearances. After an allegedly undocumented immigrant is taken into custody, the deportation officer may set a bond depending on the assessed risk that he or she will miss the court appearances and the potential risk to the safety of the community. If a deportation does not set bond or the amount of the bond is too high, the detainee can request a bond hearing before an immigration judge. The immigration judge may set bond, reduce the amount, or refuse bond. Not all detainees are eligible to obtain immigration bonds , including those who were arrested while trying to enter the U.S. illegally and those who have been accused of terrorist activities. Some immigrants detained in the custody of the Department of Homeland Security (DHS) are subject to mandatory detention and cannot be released on bond. These include individuals who have been convicted of crimes such as drug trafficking, prostitution, terrorist activities, and crimes of moral turpitude. Immigration bonds are not quite the same as bail bonds in Maryland . However, as this video explains, a bail bondsman can still help secure your release. Unlike bail bonds, immigration bonds are specifically used to secure the release of detainees held by the Immigration and Customs Enforcement, or ICE. 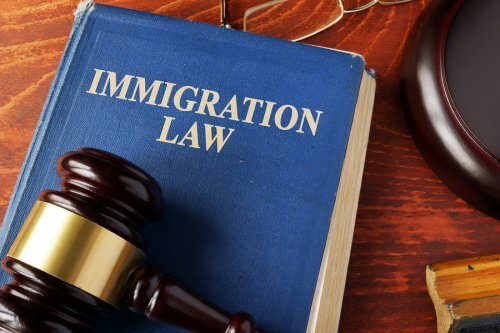 However, immigration bonds are similar to surety bonds because they are designed to guarantee a particular detainee’s appearance at any future court dates—and can be paid by a licensed bail bondsman. If you are being held on an immigration bond, contact a bail bond agent. 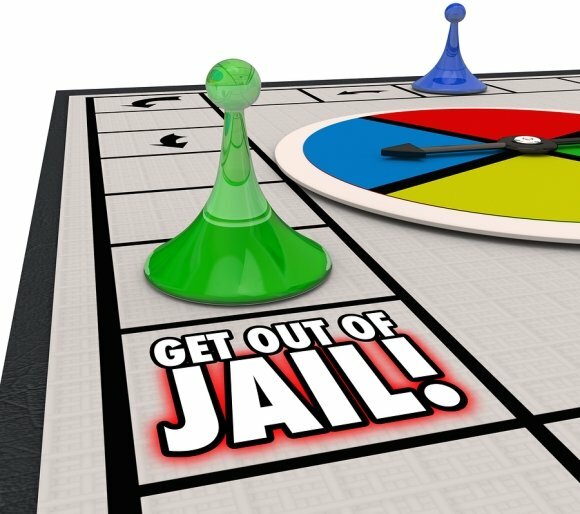 Only a bail bondsman can help get you out of custody as quickly as possible.